﻿Protease inhibitors are a class of antiviral drugs that are commonly used to treat HIV, the virus that causes AIDS. Scientists designed a new delivery system for these drugs that rid immune cells of HIV and kept the virus in check for long periods. The results appear in the journal Nanomedicine: Nanotechnology, Biology and Medicine. The researchers designed an investigational drug delivery system-a so-called "nanoformulated" protease inhibitor. The nanoformulation process takes a drug and makes it into a crystal, like an ice cube does to water. Next, the crystal drug is placed into a fat and protein coat, similar to what is done in making a coated ice-cream bar. The coating protects the drug from being degraded by the liver and removed by the kidney. 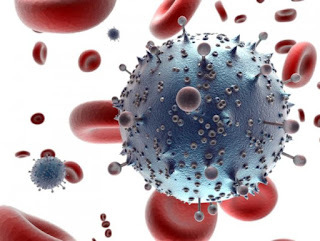 When tested together with URMC-099, a new drug discovered in the laboratory of Harris A. Gelbard, the nanoformulated protease inhibitor completely eliminated measurable quantities of HIV. URMC-099 boosted the concentration of the nanoformulated drug in immune cells and slowed the rate at which it was eliminated, thereby prolonging its therapeutic effect. The two therapies were tested together in laboratory experiments using human immune cells and in mice that were engineered to have a human immune system. The researchers believe the nanoformulation technology helps keep the protease inhibitor in white blood cells longer and that URMC-099 extends its lifespan even more. Based on material originally posted by University of Rochester Medical Center.